The fourth-grade girls’ basketball team finished in first place in the EV-W tournament on Jan. 26. The tournament began with a 19-10 win over Albany, followed by a 26-1 victory over St Cloud, and concluded with a 16-13 triumph over EV-W. Congratulations fourth-graders! 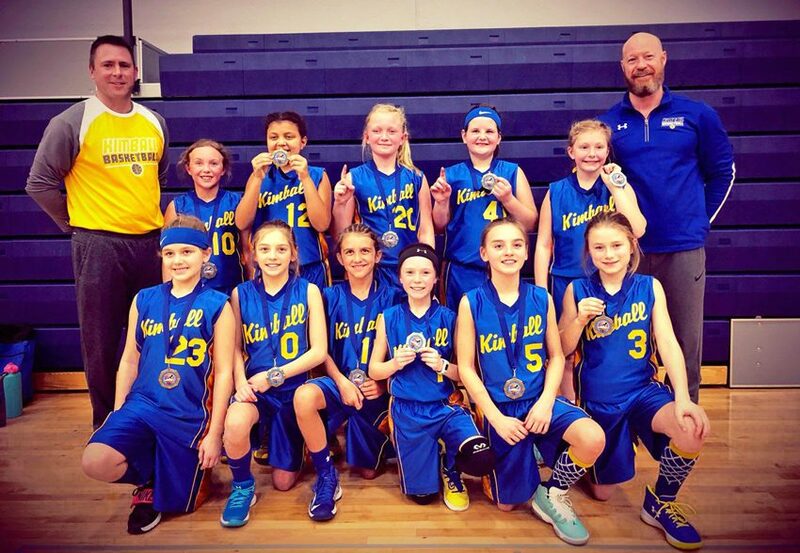 First-place winning 4th-grade Lady Cubs are, from left, (back row) Coach Jeremy Kuechle, Claire Maus, Liz Spaulding, Mazie Jurek, Brooke Pelzer, Ella Johnson, Coach Chad Spaulding; (front row) Madelyn Albers, Kylie VanNurden, Mya Christensen, Hope Kuechle, Jaelyn Major, Julia Demarais. Not pictured is Savannah Volk. Submitted photo.